Where are all the bees going? What's all the buzz about? You may have heard animal activists talking about our rapidly decreasing honeybee population lately and wondered why these somewhat pesky insects are having such a big impact on our environment. First, you need to understand that the food chain is connected, one small change can have a vast rippling effect. Honey bees are pollinators, and with the astounding rate they are disappearing, flowers, fruits, and vegetables, along with many other plants are not able to reproduce as rapidly. With a more sparse population of vegetation, many of the foods you know and love are having a hard time thriving. This includes cherries, almonds, and avocados, not to mention honey, which would cease to exist entirely without bees. A lesser known fact is that honeybees are key players in the meat and dairy industries. This is because they pollinate plants such as clover, alfalfa, and lespedeza. These plants directly feed cattle, and without their existence, the cost it would take to feed cows would sky rocket. Therefor the price of meat, along with other products produced by cows, would dramatically increase. In the past couple of decades, honeybees have been pulling somewhat of a disappearing act, leaving people puzzled on where they have been going. To better understand what is happening to them, you need to take a deeper look into how our environment has been changing, and the pieces begin to fit together. With humans rapid use of non-renewable energy sources, and our staggeringly high pollution output, it is no question that our atmosphere has become a dangerous concoction of man made poison. Honey bees use their strong sense of smell to guide them to the flowers they need to pollinate, however this path becomes interrupted by pollutants, causing it to be very difficult for them to find these plants. A key role in the decline of bees is colony collapse disorder (CCD), this is when a majority of worker bees in a hive go out and never return to their queen. Some causes of this disorder are pesticides being used causing them to be poisoned, high stress levels of the bees, or changes in the habitat bees forage in (could be caused by deforestation). Although the rate of this disorder has gone down a small amount in the past couple of years, it is still very common for this to happen to hives. According to the EPA, in 2006 and 2007 many beekeepers reported loss of 30-90% of their hives, record high numbers, thus the discovery of CCD was made. What are bees telling us? Bees are bioindicators, meaning that the status of their species reflects how well the earth's environment is doing as a whole. This means that what is occurring to the bee population could be mirroring what is happening to the earth's climate. Since bees are struggling to thrive, this could be foreshadowing a future of prominent environmental issues, more so than we are currently facing. There are many ways that people can advocate for bee rights. One way you can help the bee population is to plant bee friendly plants and herbs in your garden. This provides more safe places for them forage. Another great thing you can do is to refrain from using pesticides to kill weeds and bugs, as was mentioned earlier, these can be deadly. Lastly, for a healthier, and tastier alternative to processed honey is to purchase local honey from a beekeeper in your area. It's a good way to help support members in your community who are supporting bees. It’s time that we stop antagonizing these helpful insects, and start protecting them. 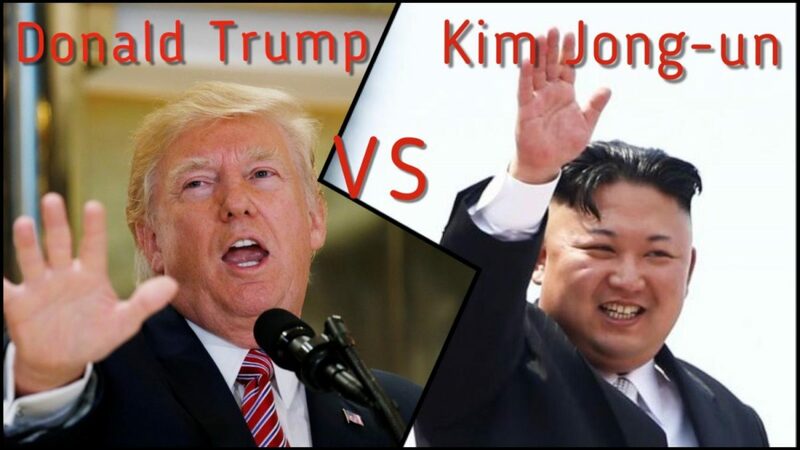 On new years day, Kim Jong-un told the world of his nuclear button; on Tuesday night, Donald Trump responded via Twitter with “I too have a Nuclear Button, but it is a much bigger & more powerful one than his, and my Button works!”. This comes after months of a war of words sort of stand off between the two leaders. The conflict started in early 2017 as North Korea started testing missiles. Much of this has taken place on social media. Experts are still unsure if these missiles are capable of carrying nuclear warheads to the east coast. However, Kim Jong-un claims they can hit DC and New York with ease. Many experts claim the missiles are all there, but the heat shield isn't capable of letting the warhead enter the atmosphere. Whatever the case, a nuclear war seems to be closer than ever.